A normal mossy fiber pathway (left) compared to a shortened, disorganized pathway caused by BACE1 inhibition (right). An experimental genetic inhibitor that could stave off Alzheimer’s disease has unintended consequences, but may represent a target for future drug development, according to a study published in Science Translational Medicine. A new strategy to inhibit BACE1, an enzyme that makes a protein involved in Alzheimer’s disease, improves on previous iterations but also causes new defects in the hippocampus, said Robert Vassar, PhD, professor in The Ken & Ruth Davee Department of Neurology and senior author of the study. Alzheimer’s disease has two major physical characteristics in the brain: buildup of amyloid plaques and aggregates of tau proteins known as neurofibrillary tangles. While it’s still unknown exactly how these cause cognitive symptoms, it’s known that the amyloid accumulates first, irritating brain tissue not unlike a sliver, according to Vassar. In a previous investigation, Vassar discovered a gene heavily involved in amyloid production: BACE1. Early trials of BACE1 inhibitors in animal models of Alzheimer’s disease showed a reduction in amyloid proteins, but depriving these models of BACE1 from birth created other issues, according to Vassar. Robert Vassar, PhD, professor in The Ken & Ruth Davee Department of Neurology, scientific director of the Division of Behavioral Neurology, principal investigator of the Alzheimer’s Disease Core Center grant and a professor of Cell and Molecular Biology. In the current study, Vassar and his colleagues did just that, deleting the BACE1 gene in adult mice using a timed, site-specific genetic editing technology that functions like genetic scissors. “You can feed the mouse Tamoxifen, an estrogen-like drug, and it will activate the scissors and chop out the exon you are targeting,” Vassar said. Mice who had BACE1 deleted once they had reached maturity exhibited fewer of the problems when compared to the mice that were missing BACE1 from birth, according to the study. 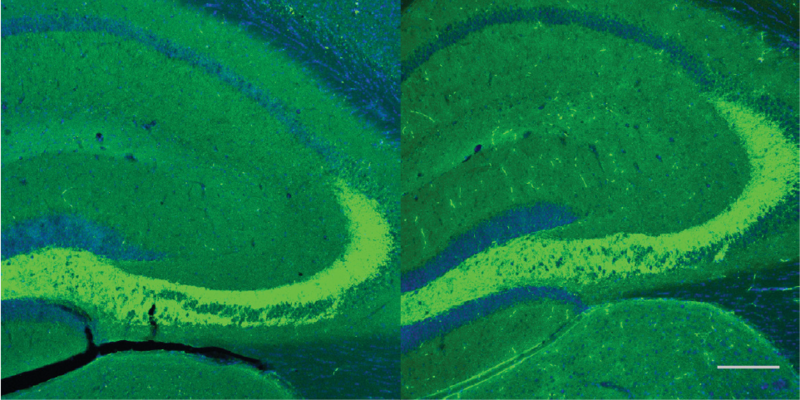 However, the investigators discovered the adult mice had deformations in the mossy fiber pathway, a structure in the hippocampus important for memory. This is concerning with several clinical trials of BACE1 inhibitors either in-progress or on the horizon, Vassar said, but all is not lost. The current study inhibited BACE1 almost entirely: 90 to 95 percent inhibition. Vassar believes there might still be a sweet spot of inhibition: low enough to keep the mossy fiber pathway intact while still high enough to significantly decrease amyloid protein production. While there’s currently no quick clinical test, identifying patients with elevated amyloid counts and prescribing them a BACE1 inhibitor is a promising strategy for preventing Alzheimer’s disease, according to Vassar. 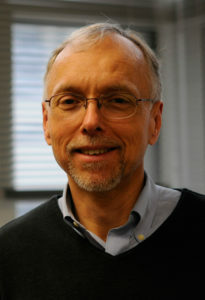 Other Northwestern authors include Ming-Husan Ou-Yang, postdoctoral fellow in the Vassar laboratory and first author of the study; Jelena Popovic, technical staff in the Vassar laboratory; Jonathan Kurz, MD, PhD, ’15 GME, instructor of Pediatrics in the Division of Neurology and Epilepsy; Anis Contractor, PhD, professor of Physiology; Toshihiro Nomura, postdoctoral fellow in the Contractor laboratory; Hongxin Dong, MD, PhD, associate professor of Psychiatry and Behavioral Sciences; Dane Chetkovich, MD, PhD, adjunct professor of Neurology in the division of Neurophysiology/Epilepsy and Warren Tourtellotte, MD, PhD, adjunct professor of Pathology. This work was supported by National Institutes of Health grant R01 AG022560, K26 OD010945 and K02-NS046468, the BrightFocus Foundation and the Baila Foundation.